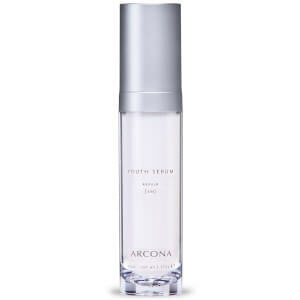 ARCONA Eye Serum contains a firming repair complex that fights off the signs of aging and reduces puffiness. This formula repairs and nourishes skin with Meadowfoam Oil and essential fatty acids. Hydrates skin around the eye. Retexturizes and reduces the appearance of fine lines. Use daily, morning and evening: Apply small amount of serum to upper and lower lids. Agua (Distilled Water), Glycerine, Limnanthes Alba (Meadowfoam) Seed Oil, Coffee (coffea Arabica) Extract, Palmitoyl Oligopeptide (MatrixylTM), Palmitoyl Tetrapeptide-7 (Matrixyl 3000TM), Epilobium Angustifolium Flower/Leaf/Stem Extract, Sodium Hyaluronate (L), Willowherb Extract, Aloe Barbadensis Leaf Juice Powder*, Acacia Gum, Allantoin, Crataegus Monogina (Hawthorn Berry) Fruit, Carbomer, Benzyl Alcohol. This eye serum firms and reduces puffiness as advertised. I can really see a difference and so can others. I like this, but not sure that I love it. It is moisturizing, but I don't think I've seen any results or changes from using it. This is my second bottle. I do love just about all Arcona products, so I'll continue to use it. In the past, I've tried the Eye Dew, but I found the consistency of that one too sticky. This is better for me - more like a gel that quickly absorbs into the eye area. I am a fan of Arcona products generally because they are light and right for sensitive skin. This serum reduced puffiness and over time reduced lines around my eyes. A few days ago I had an allergic reaction to something I put on my eyes - which left them puffy, dry, red, and immune to any moisture I would put on them. Days passed and although it was getting better little by little, the puffiness and redness and general discomfort did not completely go away. At this rate I was looking at a very slow recovery.I just received my package this morning and put on this eye serum. I coudnt believe how quickly it acted. The puffiness visibly reduced, discomfort disappearing more and more by the hour, and my eyelids seems to be responsive to moisture now as well, as they are staying hydrated! I am amazed!! 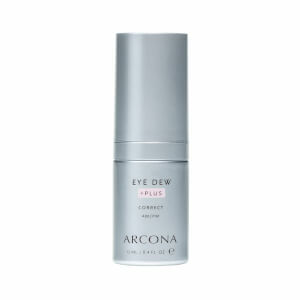 As of now, I am switching my eye product to Arcona from now on. My biggest eye concerns are dryness and puffiness and this has targeted both issues beautifully. I have used 1 whole bottle and can say that this is a great eye cream. It helps with puffiness, fine lines, and wrinkles. I am 8 months pregnant and I know a thing or 2 about puffiness around the eyes, this product definately helps with that. The only con is that I went through a whole bottle in 2 months using it twice a day. Next time I will try to apply less as it spreads easily around the eye area.